At first sight, franchise companies are at a disadvantage compared to family businesses when it comes to sharing their corporate story. The franchisor builds and constantly improves the franchise brand, defines the standards and provides the structures for franchisees to be successful, but the real life interaction with customers that shapes consumers’ perception of the franchise brand occurs at the individual franchisee level. From quick service restaurants and hotels to hardware stores and automotive maintenance shops—individual franchises draw millions of customers to their favourite brands each and every day. Most consumers instantly recognize the brand but have no idea that almost all franchises in North America are owned and operated by family entrepreneurs or family-owned multi-unit enterprises. Remember the “Home Owners helping homeowners” tagline and commercials by Canadian hardware giant Home Hardware? The Home Hardware team was right in having individual store owners display their corporate values and brand culture in action. By simply changing the focus away from the corporation and towards the inspiring entrepreneurial stories of individual franchisees, a franchise company becomes less about corporate structures and more about human values and face to face interaction. 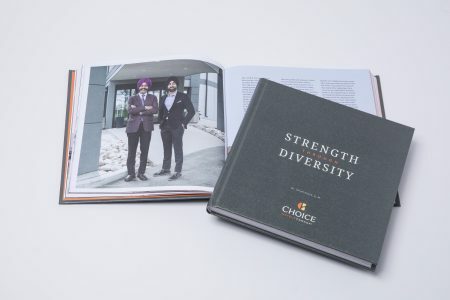 Launched at Choice Hotels® Canada’s 2018 Fall Conference and Anniversary Gala, Strength through Diversity is a franchisee story book consisting of 30 in-depth portraits of Canadian hotel entrepreneurs operating under the Choice Hotels® banner. Their inspiring stories of vision, determination and perseverance are testament to the fact that in franchising companies value-based family entrepreneurship is multiplied many times over. 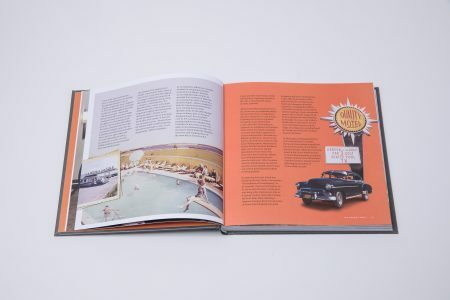 Every franchisee portrayed in this unique corporate anniversary book has an inspiring entrepreneurial story to tell while each individual story speaks to the values and culture of the franchisor and the overarching brand. As North America’s leading corporate history agency, company history book publisher, and corporate history books publishing house, Historical Branding Solutions Inc. is the provider of choice for the most distinguished family businesses, corporations and not-for-profit organizations when looking for a team of content creation and design professionals to create and publish the finest corporate history books, company history books, business anniversary books, franchisee story books, and legacy books for legacy preservation, milestone anniversary celebration, and customer, employee, franchisee and community engagement. 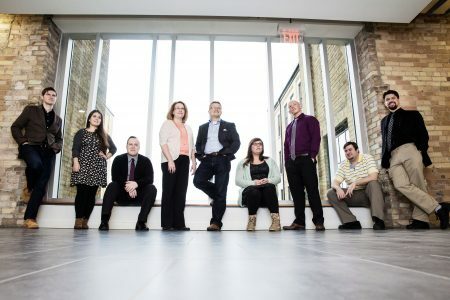 From its location with easy access to the Toronto International Airport, the HBS team serves clients all over Canada and the United States.